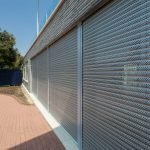 The Integr8 Structural lintel shutter system incorporates a concealed shutter within a structural lintel, providing an intelligently designed, subtle and structurally integrated built in roller shutter system. The lintel and cavity closer elements of the concealed roller shutter system are installed in the traditional manner at the time of build. The system addresses the standard areas of lintel design, such as structural load-bearing, damp proofing and cold bridging, but has the added benefit of housing an integrated shutter when required. The shutter curtain is installed later on in the construction process via an internal maintenance access panel. In the raised position, the shutter is completely hidden from view, ensuring the clean lines of the opening are retained. In the closed position, it ensures complete physical security, as the absence of visible guide rails or boxes limits the amount of areas that would otherwise be vulnerable to attack. Bespoke solutions such as those for arched or curved openings are available, and aluminium polyester powder coating finishes can be supplied in any standard RAL/BS colour. The Charter Global design team are happy to provide technical support and concept drawings on request. The Integr8 Structural Shutter features an internal access panel, which allows for routine maintenance to be completed easily and without complication. Charter Global can provide Service and Maintenance contacts on request. This lintel shutter can be manufactured completely to client and/or project preference. Both the lath profile and side guides are polyester powder coated and can be customised to any RAL/BS colour, creating a stunning finish that enhances that unique architectural flair of the property. 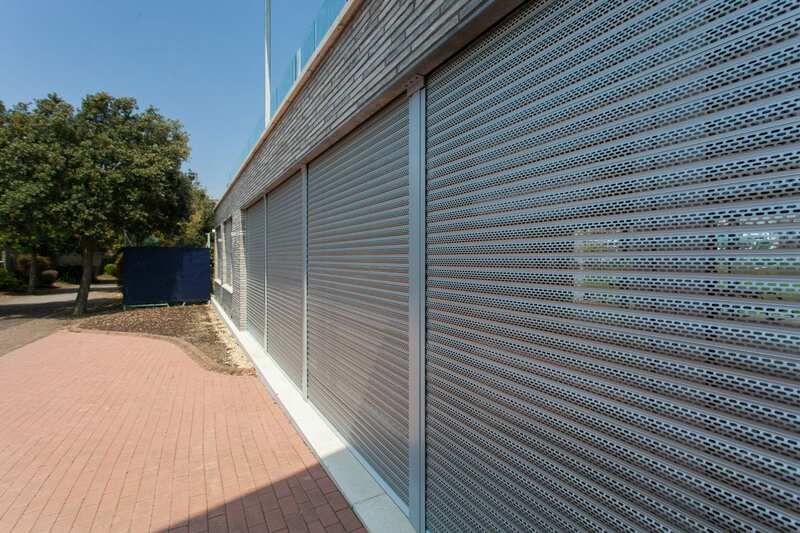 The lintel shutter is installed within the build stage of the project development, so maximum security can be achieved through the concept of an integrated roller shutter system. This completely removes the need for an unsightly headbox, creating a neat finish that will not detract from the facility’s style or architectural design.